In the last few years, we have seen a bit of an upsurge in the number of female heroes as well as heroes of colors being featured more prominently in the comic books. 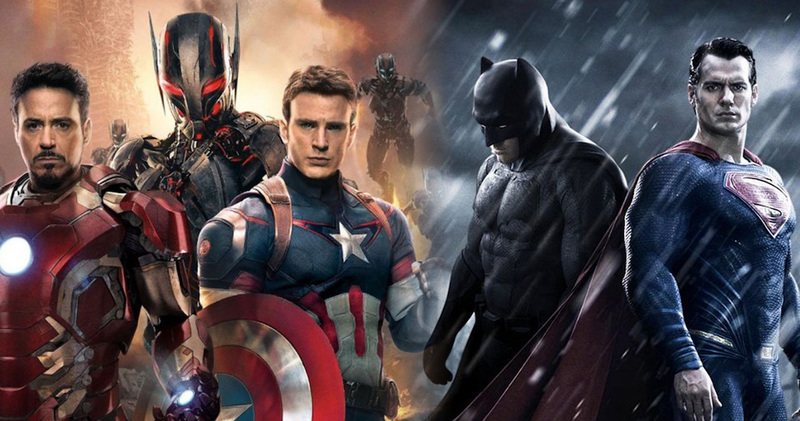 GeekWrapped has now come up with a new study wherein 990 comic book and movie lovers were questioned about how they resonated with the heroes and what would be their preferred look for them. The study led to some fascinating results. 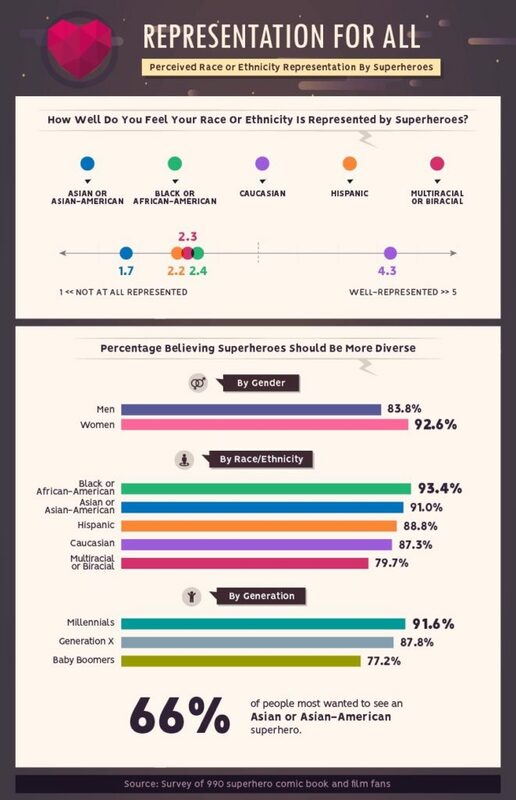 For example, let’s look at the first poll showing what percentage of the surveyed people want the superheroes to remain unchanged (ethnically and racially). The list was topped by Black Panther who had 60.3% not willing to see any changes to him, and he was followed by Thor (51.7%). After that things get interesting as heroes like Superman (41.5%), Captain America (40.1%), Iron-Man (35.4%) and Wonder Woman (34.6%) reveal that fans are not much emotional about their present ethnic and racial origins. 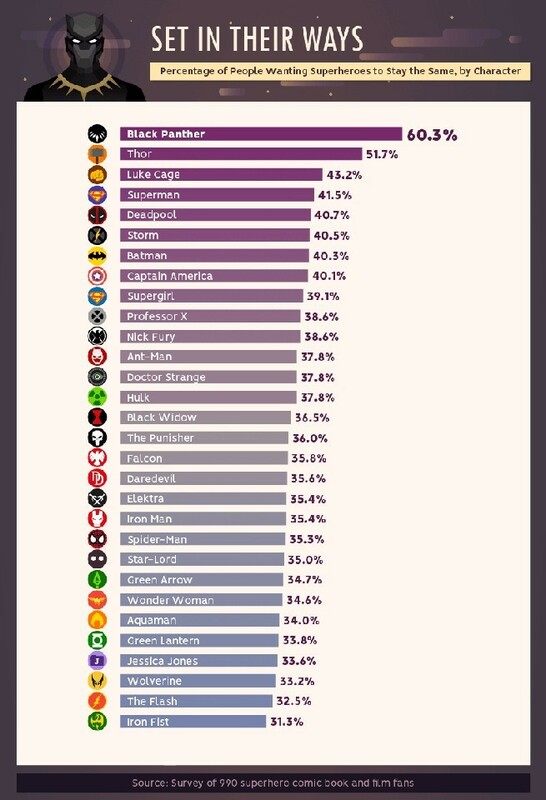 There was another chart which showed that among four character types (Races or Ethnicities, Histories, Story Arcs and Behaviors), the element that is considered least important as far as regular comic book to screen adaptations is concerned is Race or Ethnicity whereas maximum importance is given to Behaviors. At the time of adapting from the comic book, the data indicates that the fans really don’t bother much about the race being different, but, they are more concerned about the character personality remaining loyal to the source material. As far as representation is concerned, among the 990, only fans of Caucasian origin feel that they are well represented with a score of 4.3/5. Black or African-American (2.4), Multiracial or Biracial (2.3), Hispanic (2.2) feel greatly under-represented, and the Asian or Asian-Americans fans believe they are the least represented (1.7). A lot of fans also are in agreement about the need for diversity, irrespective of gender. 83.8% men want more diversity whereas 92.6% of women also want the same. One more fascinating thing is to observe the generation wise break down. In that category, 77.2% of those with grown up kids want increased diversity, Generation X has 87.8% support for diversity, whereas 91.6% millennials want things to become more diverse. 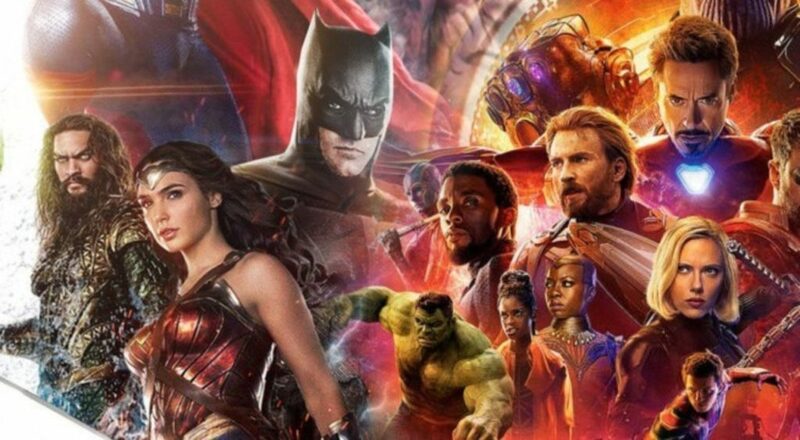 It must also be noted that almost two-thirds (66%) of all those participating in the survey were keen to see an Asian or Asian-American superhero. The entire survey and breakdown can be read here. Avengers: Infinity War is running in theaters. Up next is Ant-Man and the Wasp releasing on coming Friday, Captain Marvel on March 8, 2019, Avengers 4 on May 3, 2019, Spider-Man: Far From Home on July 5th, 2019, and Guardians of the Galaxy Vol. 3 in 2020.